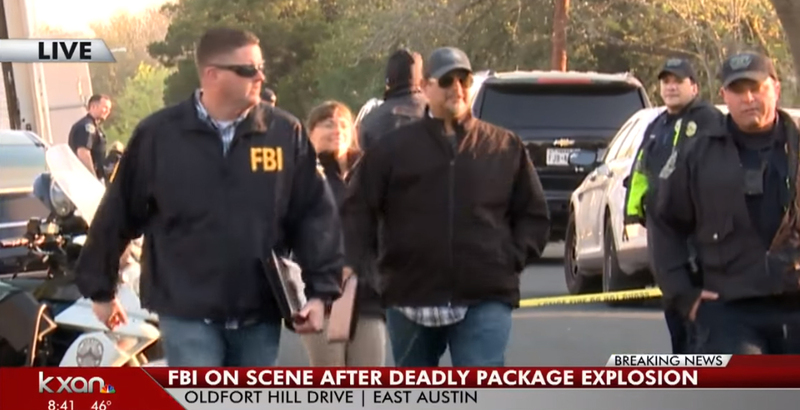 First explosion blasted in Austin Texas on March 2, the second linked explosion killed a male teenager, injured another woman. VietPress USA (Mar. 12, 2018): The first explosion blasted in Austin, Texas on Friday, March 2nd, 2018at 7:00am. Today another explosion in Austin, Texas killed a male teenager and injured another woman. Police have confirmed a “package” explosion that killed one male teenager and injured a woman in Austin, Texas Monday morning. According to local CBS affiliate KEYE, the explosion took place on the 4800 block of Oldfort Hill Drive, north of E. MLK Blvd in east Austin. Austin Police Chief Brian Manley told reporters that both the FBI, the Bureau of Alcohol, Tobacco, Firearms and Explosives and the U.S. Postal Service are assisting in the investigation. The explosion is the second such incident to occur in Austin in March, and the two are allegedly being treated as linked events. The cites of both explosions were homes owned by black families, and they are currently being investigated as “suspicious deaths,” potential homicides and potential hate crimes, though the authorities have not ruled out possible links to terrorism. The woman injured by the blast was rushed to the hospital where she is being treated for serious injuries. This is a developing story. The Daily Caller will update with more information as it becomes available.